Randall Park has been in so many failed TV pilots that he struggles to pin down a number. He wonders aloud: Eight? Nine? 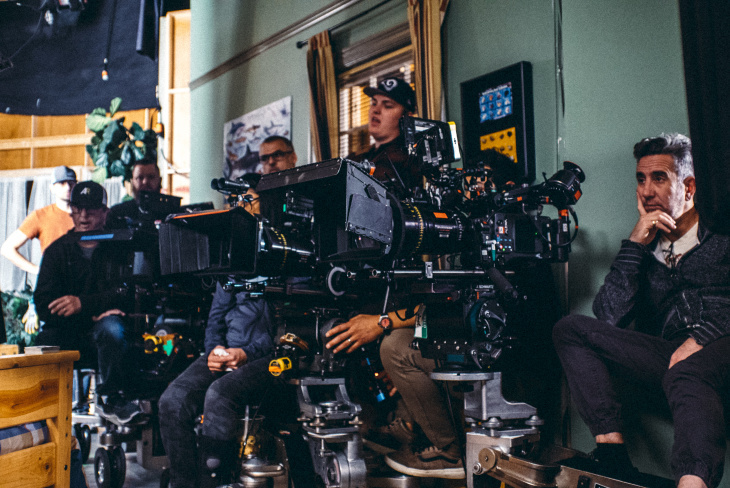 So he kept expectations low when shooting the pilot for Fresh Off the Boat, "especially considering the fact that it was an Asian American family on TV and at the time, there was nothing like that." Five seasons later, Fresh Off the Boat is that Asian American family on TV. In between shooting scenes last month, Park traversed the soundstage for the ABC comedy in a Hawaiian shirt and shorts for his role as the sunny patriarch of the Huangs, a zany Taiwanese American family getting into hijinks in 1990's Orlando. "I never thought I'd be on a show that would hit 100 episodes," Park marveled last month from the booth of the Western-kitsch steakhouse his character, Louis, owns. "I mean, that's kind of the dream." Episode 100 airs tonight. Reaching this benchmark is a traditional measure of longevity and readiness for syndication, and it looks to be increasingly uncommon, as networks move toward shorter episode orders. In the case of Fresh Off the Boat, the milestone is historic. No other show featuring an all-Asian American lead cast has made it this far. 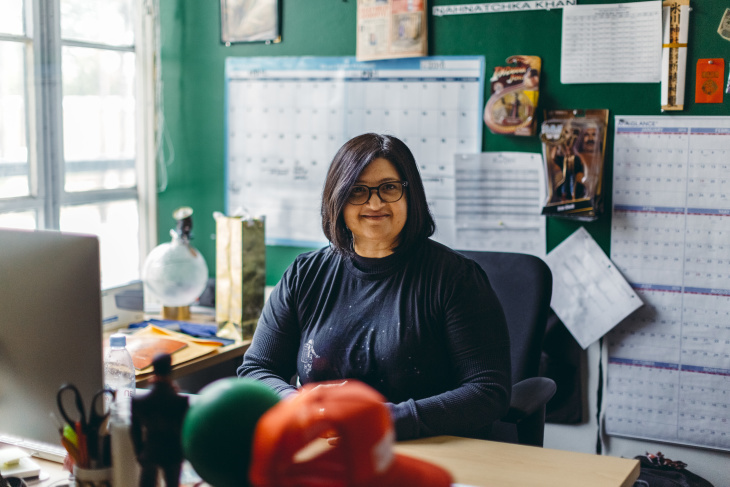 "We were there in that mainstream way and on that big platform showing people you don't have to look a certain way to be on network," said show creator Nahnatchka Khan. "There are other versions of family stories that you haven't heard before even though television has been around for decades and decades." It's rare for Asian Americans to even get on a series. A study released in 2017 showed that Asian Americans make up just 4 percent of regulars on TV shows. But even the cast of Fresh Off the Boat may not be safe. ABC hasn't announced yet whether the "perennial bubble comedy" will be renewed a sixth season. The uncertainty coincides with Khan leaving the show as she transitions from 20th Century Fox Television, where she birthed Fresh Off the Boat, to her new job at Universal TV. Amid all this change, Park and his co-stars aren't sure whether the show will be back. 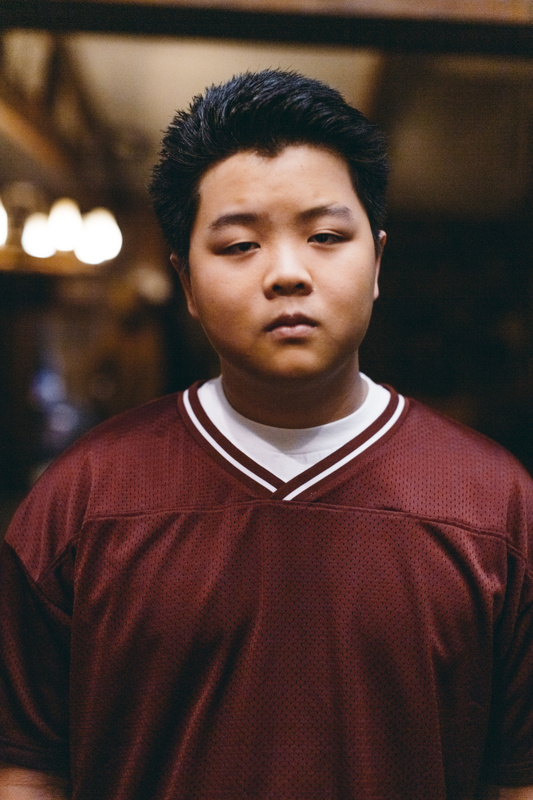 Fresh Off the Boat is loosely based on the memoir of Eddie Huang, a Vice personality and celebrity chef. Since its 2015 debut, the show has cleaved to sitcom-y conventions — pratfalls, misunderstandings and tidy endings — while going for a broad audience. There's also nothing quite like it on American TV. In most episodes, Mandarin is spoken, usually in a deadpan by the Grandma Huang character played by Lucille Soong. There are storylines about racism, everything from being called 'chink' to getting stereotyped as a bad driver. The show's writers have also tackled the immigrant experience, following the mom character's quest for U.S. citizenship in a season-long arc. It's mostly played for laughs, but when the typically-jaded character finally takes her oath of citizenship, earnestly clasping a pocket copy of the Constitution, the show's beating immigrant heart is laid bare. There's also few other shows that have depicted a loving, romantic — albeit feisty — relationship between two Asian American parents. But perhaps the most radical thing about the show is the cast. The five principal actors playing the Huang family are all Asian American. Asian Americans have served as leads on shows — think Mindy Kaling in The Mindy Project, Aziz Ansari in Master of None or Sandra Oh in Killing Eve. But they are the exception. Most of the time their supporting casts are largely white. The reality is, at least so far, a major network show featuring an Asian American family only comes along every few decades. Pat Morita starred as a Japanese inventor dad with two kids in Mr. T and Tina in 1976. Nearly 20 years later, Margaret Cho clashed with her Korean American parents on All-American Girl. Both were on ABC and critically-panned. Neither made it past one season. The lack of Asian American-centered stories has led to a paucity of roles. And when Asian Americans are cast, said Constance Wu, who plays Jessica Huang, the sharp-tongued, strident mom on Fresh Off the Boat, it's typically as the second, third or fourth lead "to support somebody else's story. "It's a diversity checkmark rather than understanding that diversity isn't just skin-deep," Wu said. "It's representation. It's your story." For audiences, the effect of watching a majority-Asian cast can be mindset-altering, according to Nancy Wang Yuen, a sociologist who worked on the study about Asian American TV representation. "You really start to see that Asian Americans aren't just one dimensional," Yuen said. Yuen, the author of Reel Inequality about racism in Hollywood, points out that on Fresh Off the Boat, the oldest brother, Eddie is obsessed with hip-hop. The middle brother Emery (Forrest Wheeler) is sporty and popular. The youngest, Evan (Ian Chen), is precocious and brainy. "You cannot just kind of lump all Asians — even all Chinese — into one archetype, right?" Yuen said. "There is variation. There are different looks, different types. I mean all those things disappear when you have just the one geeky tech guy on a crime procedural show." 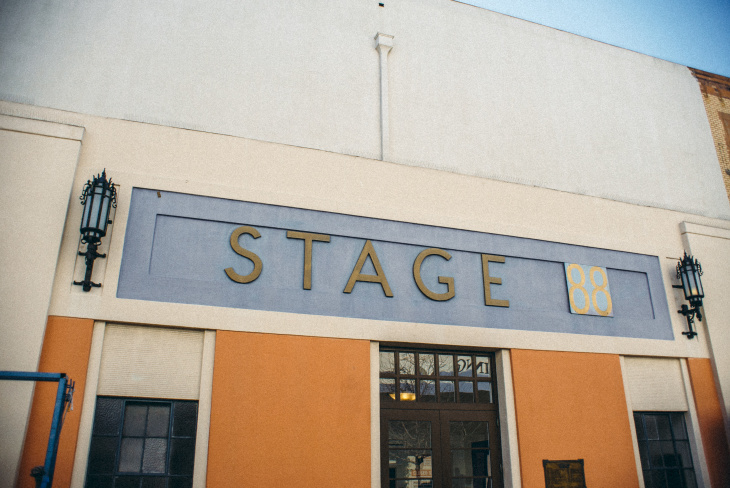 The set for Fresh Off the Boat is in a flamingo-colored building that was the longtime home of the Fox medical drama House. For years it was known as Stage 14. 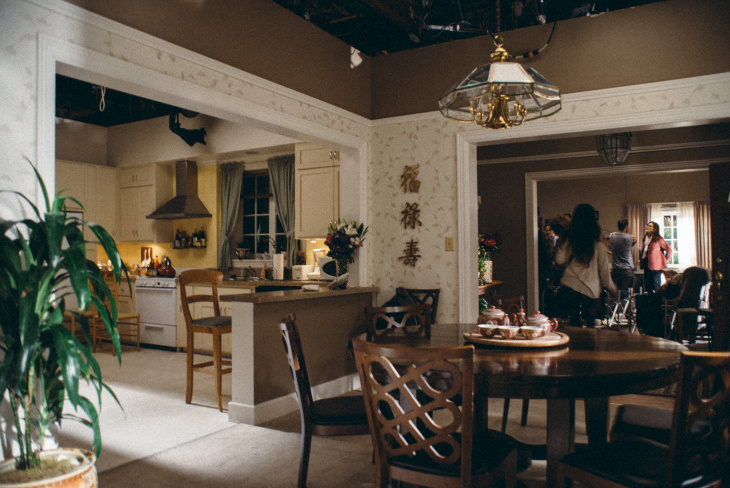 But when Fresh Off the Boat moved in, producer Melvin Mar had the "14" covered up with "88" — a lucky number in Chinese culture. Fresh Off the Boat got off to an auspicious start at ABC. Khan said that former programming chief Paul Lee and head of comedy Samie Falvey promised to make the show a priority. "One of the things I'll never forget is that they were, like, 'We will actually put the show on the air'," Khan said. It had been two decades since ABC had cancelled All-American Girl, and the studio was in a different place. Executives were riding high on the success of Shonda Rimes' Scandal and treating diversity as a mission statement. That led to the pursuit of sitcoms like Fresh Off the Boat and Black-ish and producers like Khan, who was eager to mine her Iranian American family's immigrant experience for Fresh Off the Boat. "Whatever internal thing that they had going on ABC at the time, they were committed to that and they put their money where their mouth is basically," Khan said. Nearly 8 million people caught the premiere on Feb. 14, 2015, and the reviewers were mostly kind. But any criticism did little to dim the excitement of Asian Americans thirsting for wider representation on media. Watch parties were held around the country for the premiere and the show was heralded as a win for diversity on TV. The young boys cast as the three Huang sons were only beginning to grasp what their show meant to the larger Asian American community. Hudson Yang, who plays Eddie, is the son of Jeff Yang, the media consultant and writer, whose critical drubbing of All-American Girl two decades earlier contributed to its axing. The irony of his son now starring in the first network show about an Asian American family since All-American Girl was not lost on him. "So it kind of felt like the world saying, 'Here, make it up,' Hudson Yang said. "(My dad) told me how important it was." Later that year, in what seemed like an embarrassment of riches, ABC premiered a second sitcom with an Asian-American cast: Dr. Ken starring Ken Jeong. Weak ratings, though, led to Dr. Ken's demise in 2017. And over time, ratings for Fresh Off the Boat softened too. The new-show buzz was gone and the TV landscape was increasingly cluttered with series competing for eyes. The cute little kids weren't so little anymore. Yang, who was 4-feet-10-inches when he started the show said he now tops 6 feet, towering over his TV dad. The show won a fifth season, but was moved to the broadcast equivalent of a retirement home: Friday nights. Khan was unfazed. "Well, I was excited that we got more episodes, honestly," Khan said. She was optimistic that audiences would find the show on its new night or on a streaming service. But ratings continued to fall. The number of viewers per episode in Season 5 hover around 3 million, less than half the audience it started out with. And Fresh Off the Boat, finds itself on the bubble again. Should the show go off the air, Asian American representation on TV would take a huge hit, though perhaps not as huge had Crazy Rich Asians not happened. That box-office hit has been credited by some with opening the door to more Asian American television shows. In the last year, two shows about Asian American families have been ordered to pilot at ABC: a father-daughter comedy starring New Girl's Hannah Simone and Lazy Rich Asians about a Chinese-American family suddenly — and disastrously — coming into money. HBO is also developing K-Town with Russian Doll's Greta Lee about a Korean-American woman and her kingpin family. Farther along the pipeline is an Awkwafina vehicle on Comedy Central, which already has a 10-episode order. 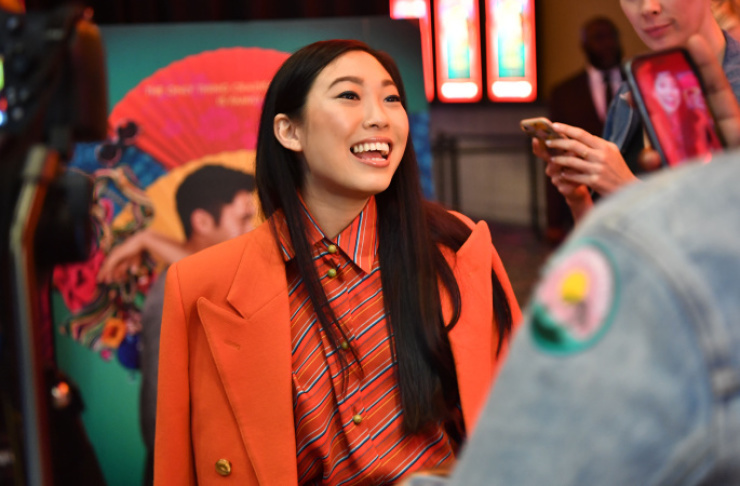 The breakout star of Crazy Rich Asians, Awkwafina is helping to pen the series about her experience growing up in Queens with her father and grandmother. Meanwhile, Netflix just ordered a Mindy Kaling coming-of-age comedy about a first-gen Indian-American girl. It remains to be seen whether the Crazy Rich Asians effect has staying power and can add to the small but growing number of series featuring Asian American families that have arrived just in the last couple years: Hulu's PEN15, Alexa and Katie on Netflix and Disney Channel's Andi Mack. A Toronto-set show, Kim's Convenience about a Korean-Canadian family, debuted stateside last year — it's in its third season back home — and has been embraced by some of the same fans of Fresh Off the Boat. In fact, one of the stars of Kim's Convenience, Simu Liu, cameos in the 100th episode of Fresh Off the Boat, which sees Eddie shipped off to Taiwan for a cultural exchange program modeled after the infamous "Love Boat" study tour for young Taiwanese Americans (so dubbed because of all the hookups it facilitated). 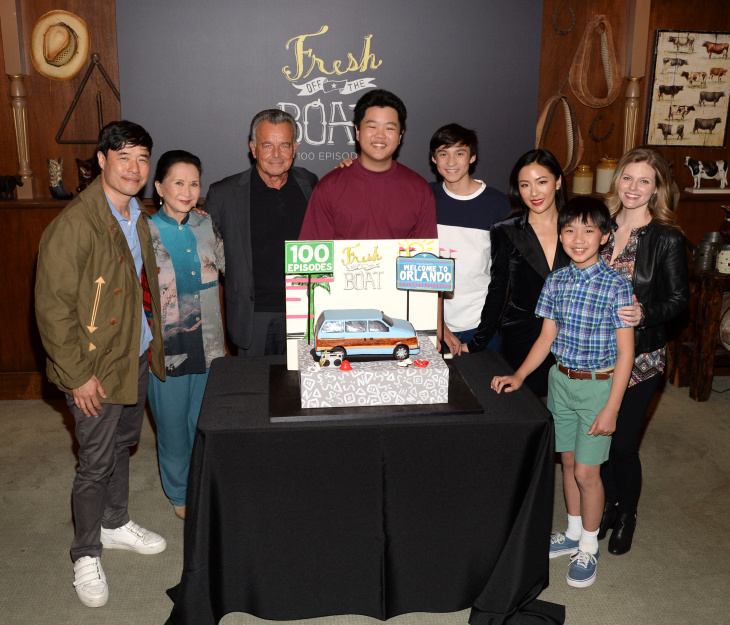 The cast and crew of Fresh Off the Boat filmed one more episode after — the 101st, which may or may not be the series' last. When everybody left the set last month, they were unsure when or if they would all see each other again. A few members of the Fresh Off the Boat team have continued working together. 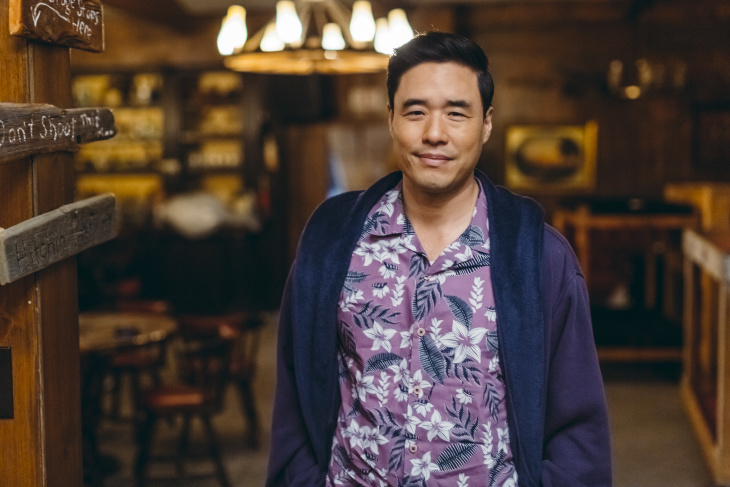 Randall Park is starring in a Netflix rom-com called Always Be My Maybe with the comedian Ali Wong, who wrote for the first two seasons of Fresh Off the Boat. Khan is directing the feature, which is expected out in the coming months. Park can't contain his excitement about the movie ("It's really great. I can't wait for you to see it") but he hopes he'll be able to return to his TV family for a sixth season so the Huangs can resume their escapades. The cast will know the show's fate by May, when ABC unveils its schedule for the upcoming television season to advertising buyers at an upfront presentation in New York. "If it doesn't get picked up, I'll be sad of course, but I'll also look back and very proud of what we've done," Park said. "We kind of did something great and that's cause for celebration." 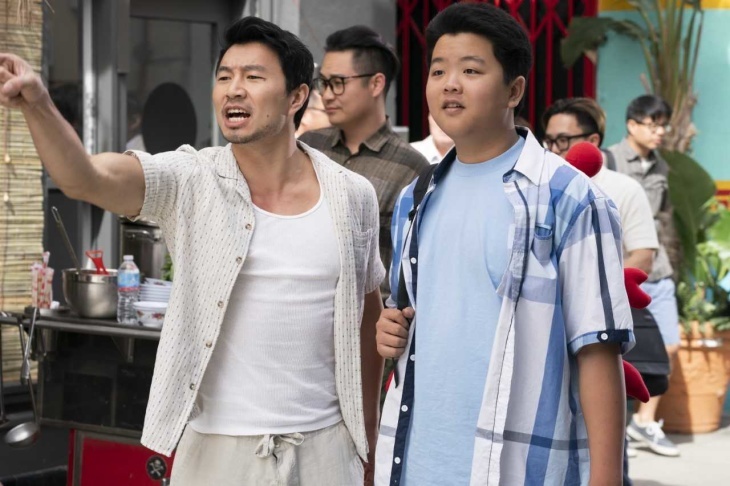 Whatever happens next, Fresh Off the Boat already has a cable syndication deal with Freeform and Up, and new audiences continue to find it on streaming services. Now that they'll have more than 100 episodes to go into repeats, the Huangs won't be leaving TV screens anytime soon.